Sometimes, you just need a little cheese. Most of the time, you don’t have the money for it (or at least I don’t). 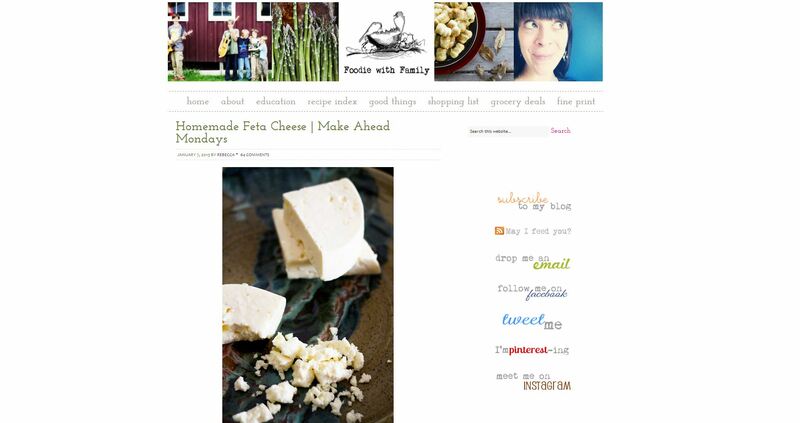 From the prolific blog Foodie With Family comes one of the most comprehensive recipes for making delicious, savory feta cheese. Here at Cultivated, we love the sustainability of raising goats, and one of the most enduring benefits of raising goats is the chance to make cheese. Just a few goats can produce way more milk, cheese, and yogurt than a small family can eat. The actually process of making cheese can be a bit intimidating for first timers. Don’t worry, we’ve got you covered. This recipe is a pretty comprehensive list of ingredients and detailed instructions for first timers making their own cheese. With a modified recipe for those using goat’s milk, this might be the only post you will ever need to read to create some amazing, Wisconsin quality DIY feta cheese.